The island of Tahiti is split up into two parts: Tahiti Nui (northwestern part) and Tahiti Ita (southeastern part). This cocktail is the ultimate representation of the island lifestyle. 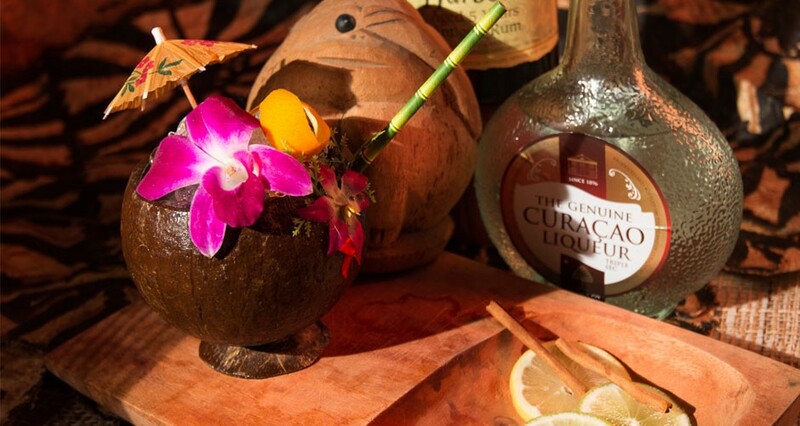 It has all the tropical flavors a tiki cocktail should have. Serve it in a coconut and you will feel like you're laying in a hammock at the beach on a tropical island. Shake everything with one cup crushed ice in a shaker and pour into a Collins glass. Top with more crushed ice. Garnish with an orange peel.